Trimont was engaged by a major global investment bank to provide asset management and servicing on $319 million of securitized senior and subordinate loans. The John Hancock Center, also known as Big John, is a 100-story tower located in the Streeterville area of Chicago. The building, completed in 1970, contains 897,000 sf of office space, 172,000 sf of retail space, and 700 privately owned condominiums. At the time of its completion, the building was the tallest building in the world outside of New York City. 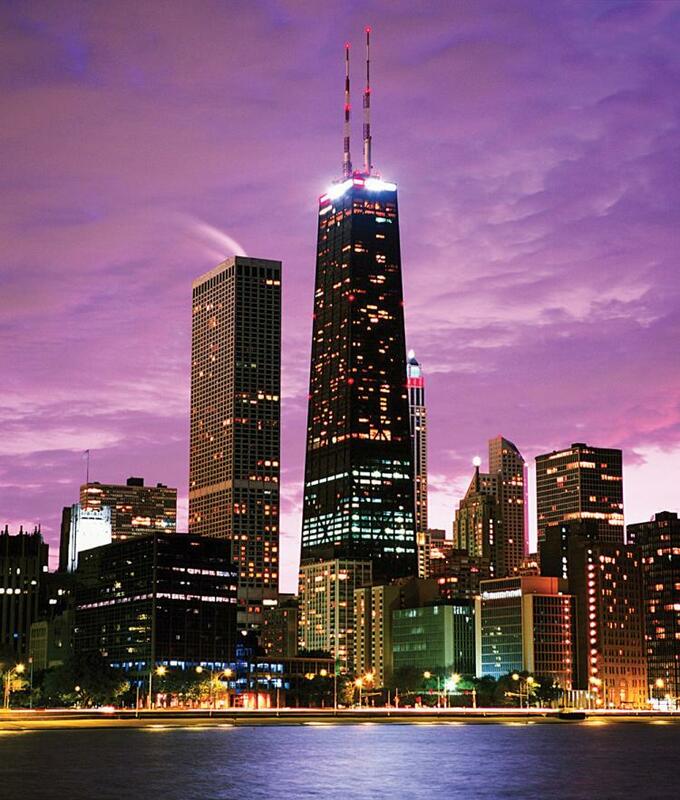 It is currently the fourth tallest building in Chicago and the seventh tallest in the United States. Designed by noted architect Bruce Graham, the wedge shape of the building creates the illusion of increased height. The building’s innovative X-bracing exterior eliminated the need for interior support beams and thereby increased interior floor-plates while making the skyscraper an architectural icon. The sky-lobby on the 44th-floor features the highest indoor swimming pool in the U.S. Visitors can reach the observatory in thirty-nine seconds by elevators that travel at a top speed of 1,800 feet per minute.